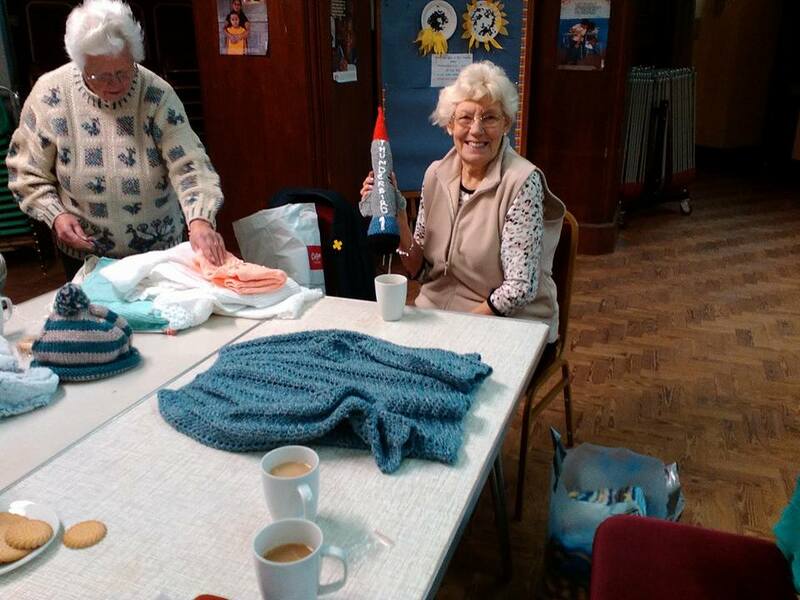 Knit and Natter or Crochet and Chat happens every Tuesday morning from 10:30am to 12: 00. 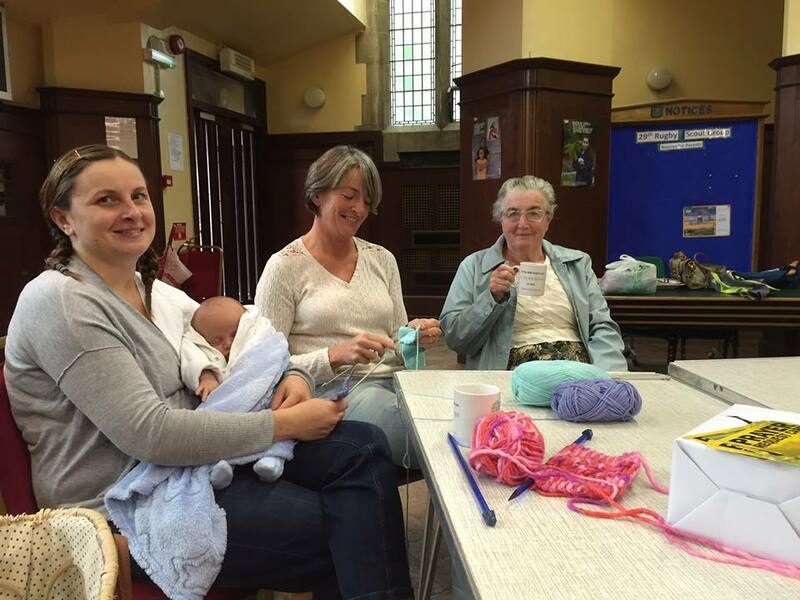 So far we are a group of about 10-12 ladies of all ages, some of us knit, some crochet and all of us chat! We are very friendly and we are happy to teach you or help you with your knitting/crochet project or ambition. Please call Sarah on 01788 812840 for more information. £1.50 per session, include tea/coffee and biscuits. 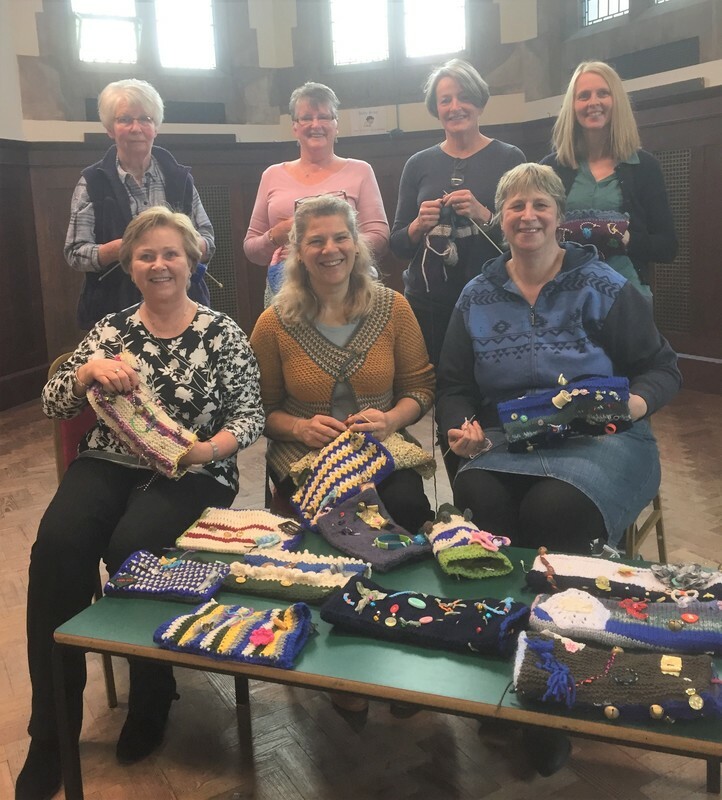 On March 21st the Knit and Natter group had a visit from the Chairman of Friends of St Cross Hospital Willy Goldschmidt and the secetary June Witcomb. 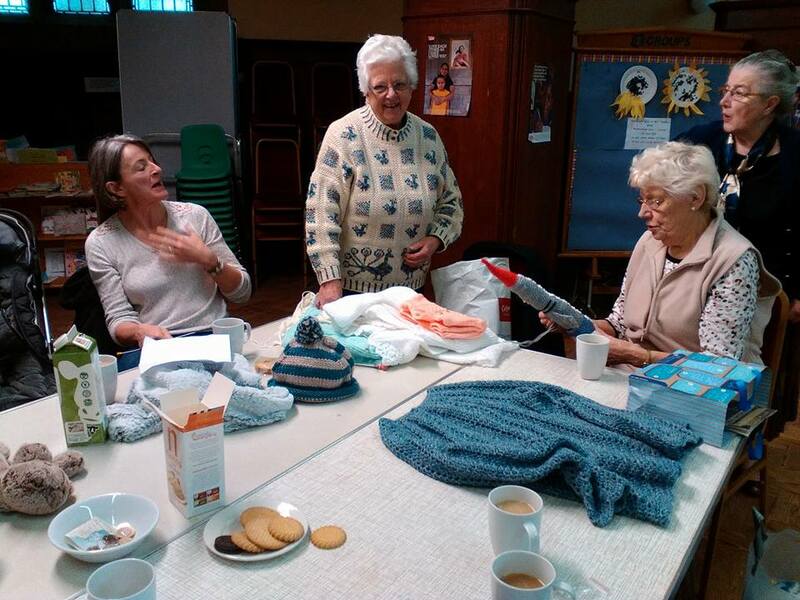 They came to collect many amazing 'Twiddlemuffs' knitted by members of the group. 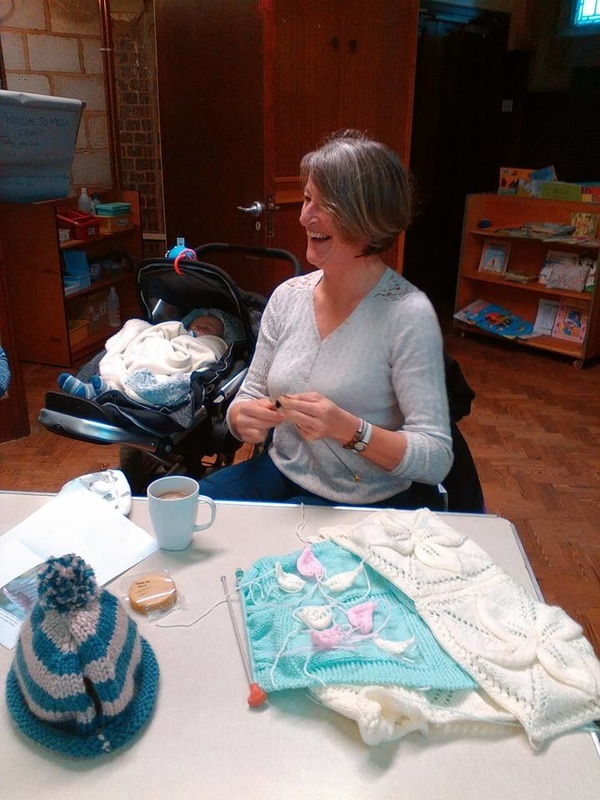 A 'twiddlemuff' is a knitted article with lots of different textures and items for twiddling! They are very helpful for patients with Dementia, giving them something calming to with their hands.